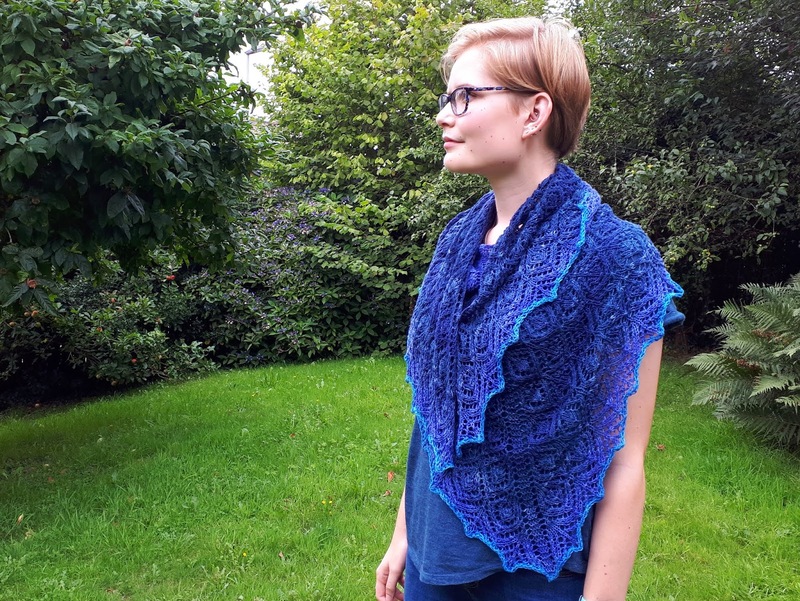 La Marina is a big shawl with an interesting shape which can be worn several ways as a shawl or as a scarf. 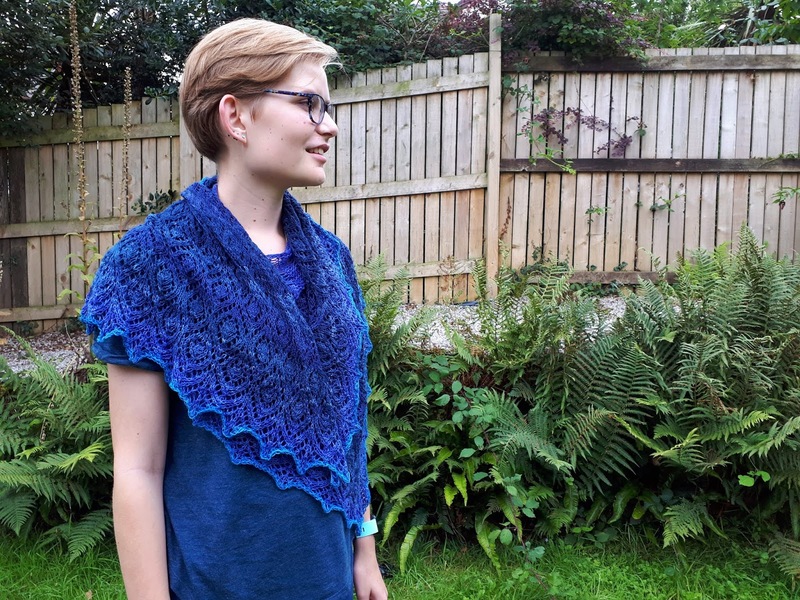 The Zauberball Cotton is silky soft and has amazing drape. Get 25% off La Marina until 5 September 2018 midnight UK. 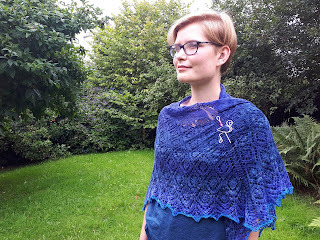 La Marina is perfect for wrapping around your shoulders to keep warm on a summer evening, in the office or at a party. 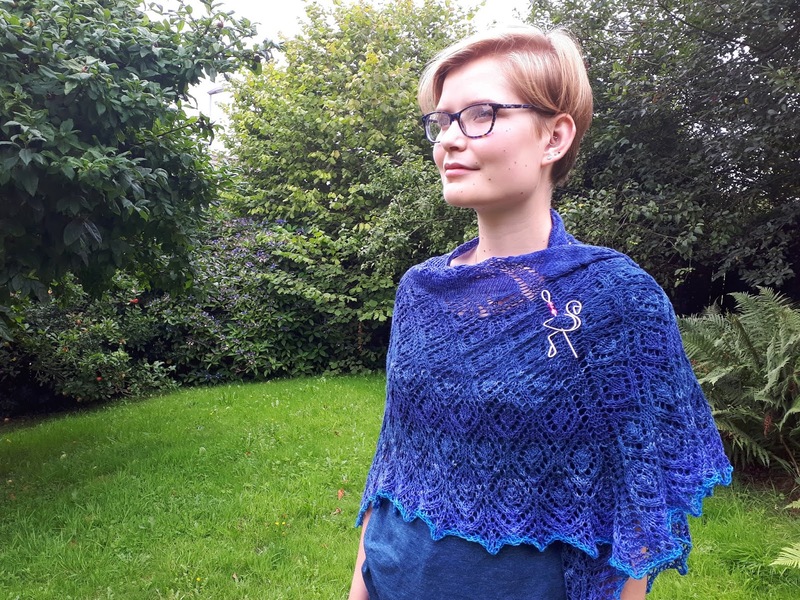 You can also wear it like a big scarf by wrapping it around your neck. 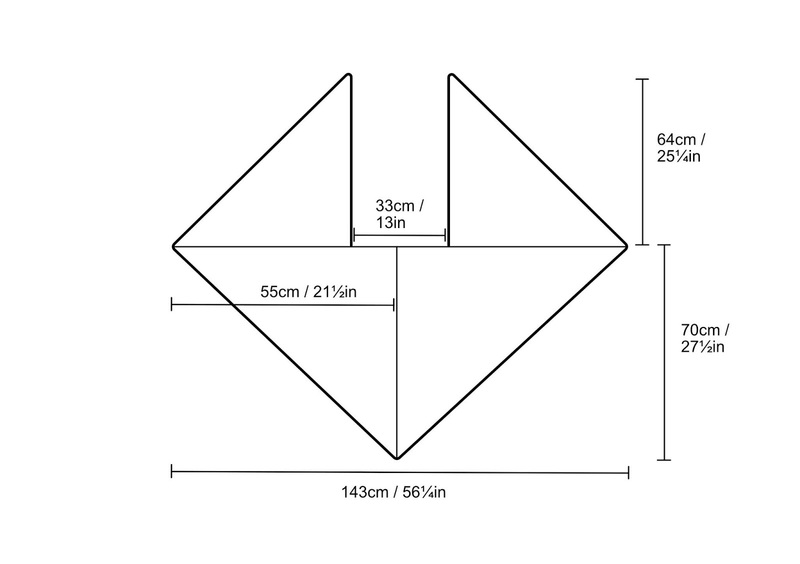 There's a schematic at the end of this post to show the shape. 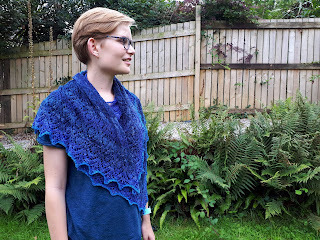 La Marina combines stocking stitch with two diamond lace patterns and a scalloped edging. 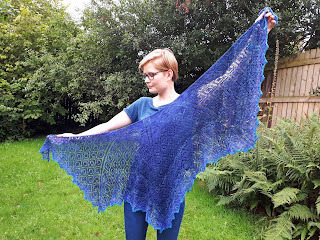 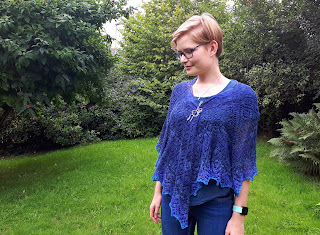 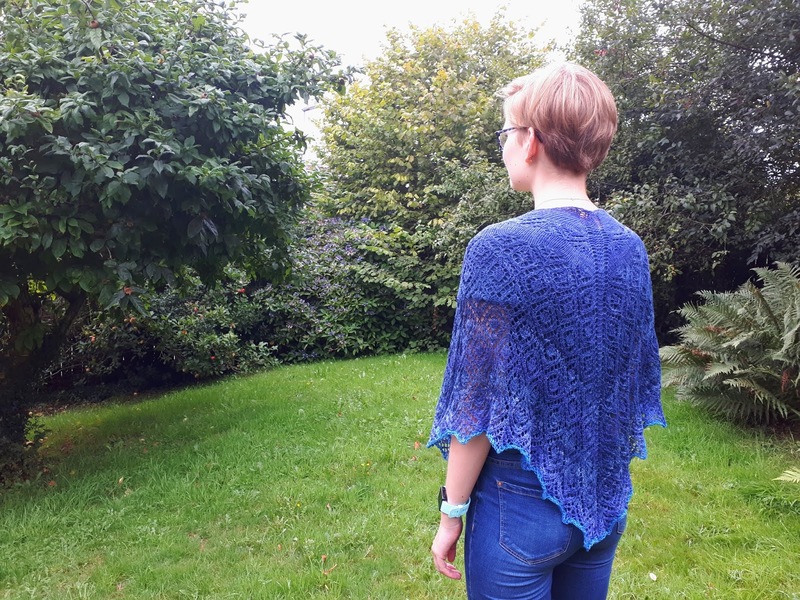 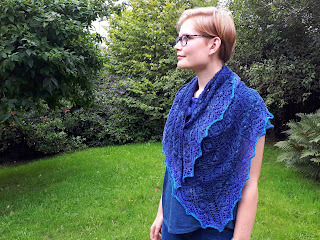 La Marina is the same shape as my Carnival shawl and I have a blocking tutorial here. 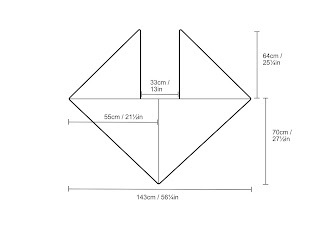 Below is the blocking diagram for La Marina so you can see the exact shape and measurements. 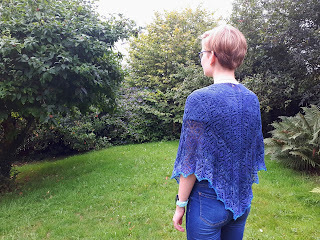 The shawl is worked from the top down in one piece.